Gum Disease (periodontitis) is one of the two most common dental diseases. Tooth decay is the other one. In most cases, periodontitis is an infection of the gums caused by the bacteria present in dental plaque. Some people are more susceptible to periodontitis than others. This depends on how each person’s immune system reacts to the plaque. With good and regular dental care including home maintenance and the support of your dentist, periodontitis can be managed for your entire life. What happens if you have untreated advanced gum disease (periodontitis)? The bone around your teeth recedes from the infection causing bone loss and thus receding gums. The teeth start to lose their supporting structures. Lost bone cannot be regained. As the disease progresses to its advanced stages it causes bad breath, loose teeth and ultimately tooth loss. Periodontitis is also associated with an increased rise of cardiovascular heart disease and atherosclerosis, stroke, respiratory infections and pre-term low birth weight babies. A strong link with diabetes has also been established. During your dental check, the dentist will lightly measure around your gums and look for any areas of bone loss. With signs of disease additional X-rays may be needed to assess your bone levels. A comprehensive assessment of your gums and bone levels, deep cleaning to remove any calcified plaque and irritants from your teeth occurs. This creates an environment that is favourable for healing. Your dentist will likely recommend a more regular check-up and cleaning protocol. For example having a dental clean every 3 months rather than every 6 months may be necessary. In some cases, referral to a specialist periodontist may be required. The cornerstone of treatment for this condition is removal of plaque and calculus, both professionally and with high quality home maintenance. Ensure you have a good home oral hygiene standards, brushing all teeth surface effectively and using dental floss or interdental brushes daily. Regularly visiting your dentist, and if diagnosed with advanced gum disease, attend more regularly than usual (3 monthly cleans rather than 6 monthly). Diagnosing and treating periodontitis is not only important for your oral health, but also your general health. Periodontitis is a lifelong condition and your dentist will work with you to help support gum health. 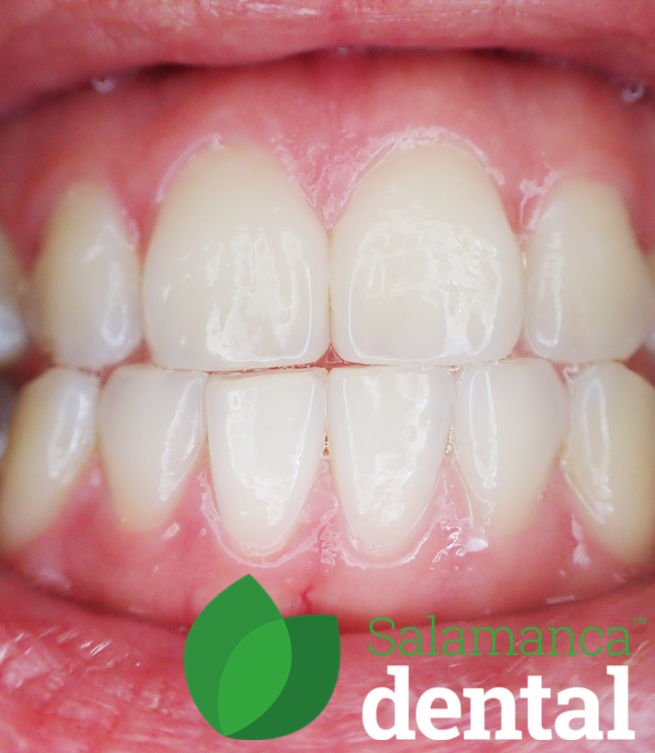 Interested in finding out more about the how Salamanca Dental can work with you to ensure gum disease is managed? To speak with one of our friendly staff members, please call Salamanca Dental on (03) 6288 8070, contact us here , or book online. We look forward to seeing you soon, and remember to… smile like you mean it!